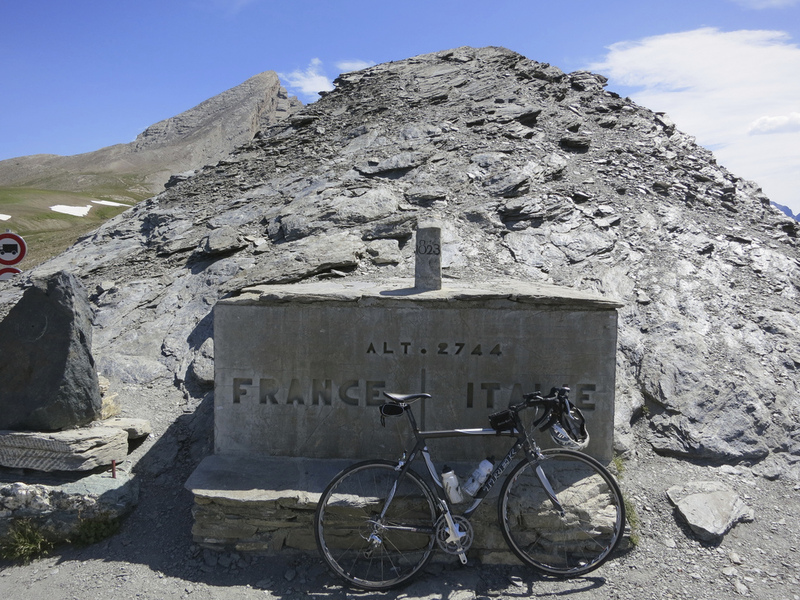 At 2744 metres, Wikipedia lists Col Agnel as the 3rd highest paved mountain pass in Europe. This monster has been on my list of “to-dos” for ever. Woohooooo! Below I’ve added profiles for both the French and (tougher) Italian side. 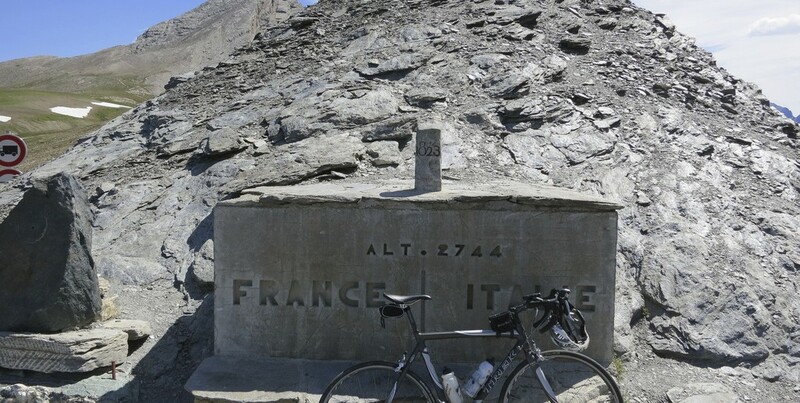 I’ve only climbed the French side. Details of the even better Italian side here. 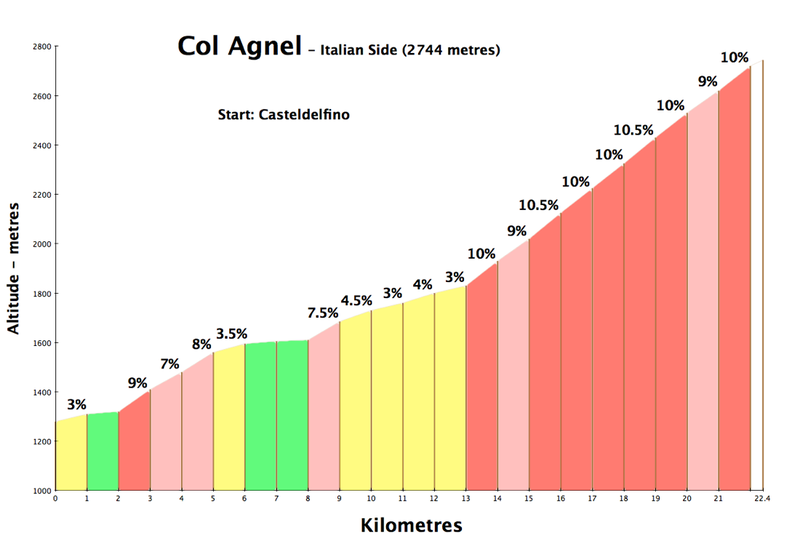 It’s Italian name is Colle dell’Agnello. 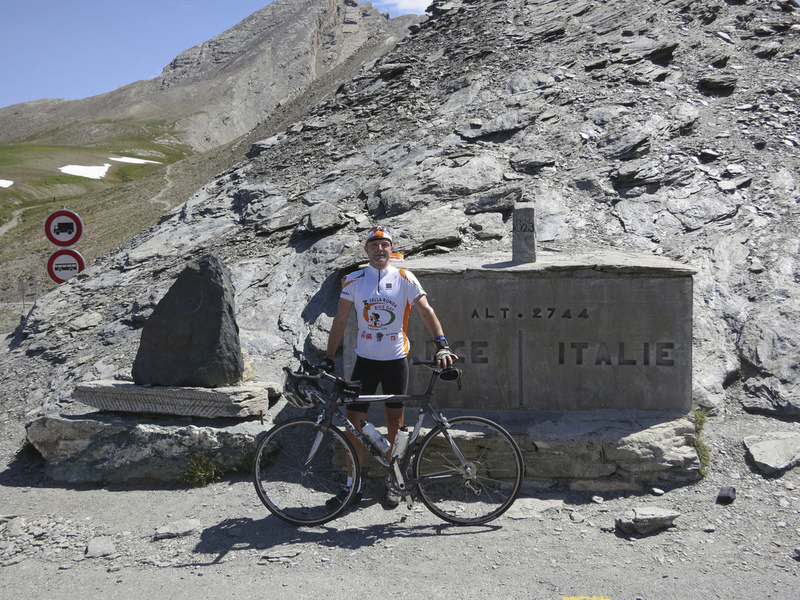 I’d hoped to do both sides, but the three huge previous days, my old legs, and a nasty head-wind, convinced me that even a fool like me couldn’t find any fun struggling up the tougher Italian side on this day. Another future project. 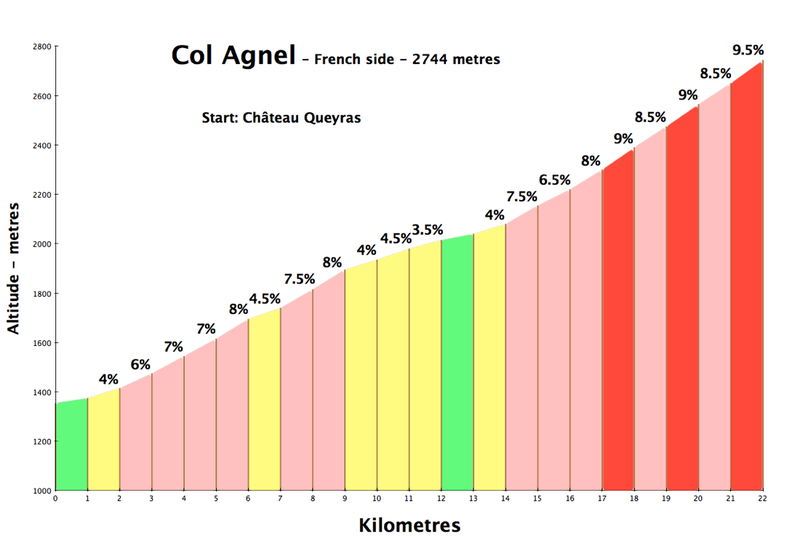 Only decently surfaced in recent years, Agnel has appeared in the Giro three times (’94, ’00, ’07), and in the Tour de France twice (’08, ’11). 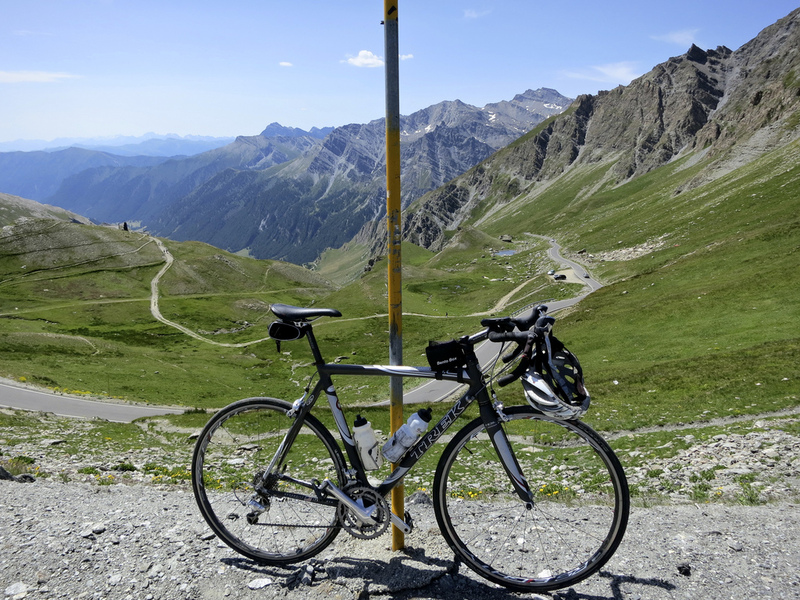 I don’t have too much useful to say except it’s beautiful, high, worth cycling – and I was sorry not jump over the other side. And I was surprised but pleased at the number of cyclists, fast and slow, all cheerful. 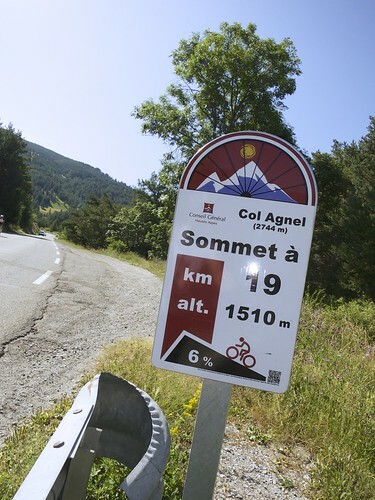 Agnel is an Intoxicating place. amazing weather you had – seems like mt viso is usually draped in clouds – very shy. 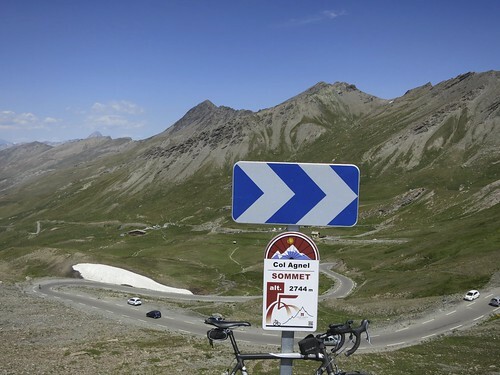 Hopefully marie and i will be there late next week for a little camping and hiking (and maybe i’ll get in a ride to izoard and agnel). 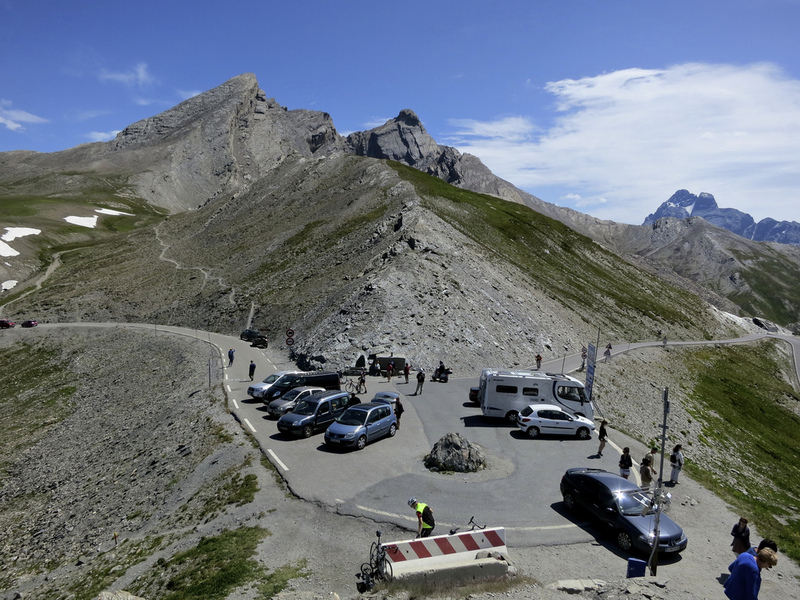 The italian side, in my small experience, is the most beautiful pass I’ve ridden so far.